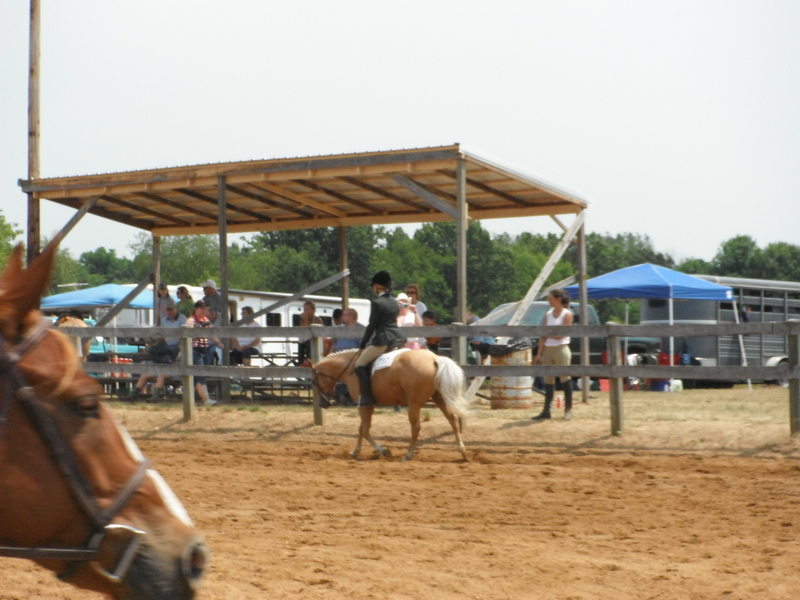 Only riders who currently board their horses or take lessons at Firefly Farm are eligible to ride or take part in this show. Each class is $15 to enter for regular classes. 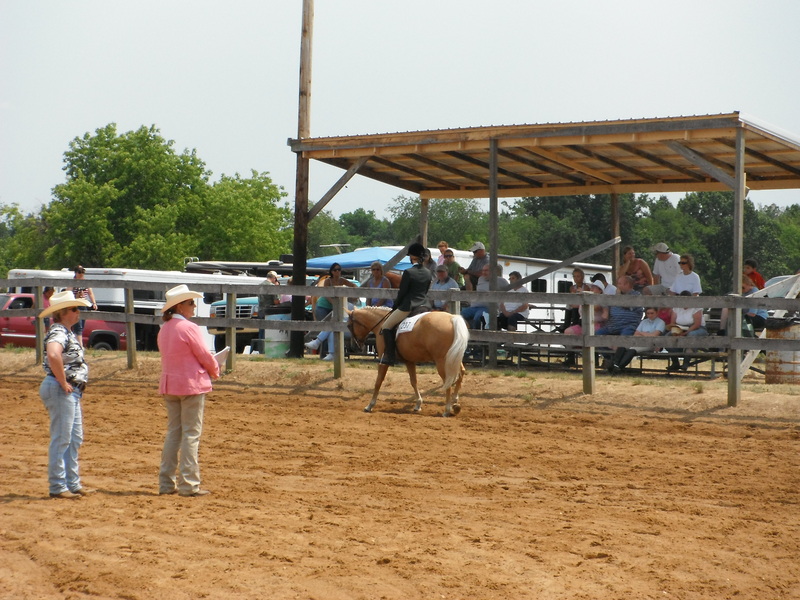 Payment must be made as early as possible to ensure entry into the show. 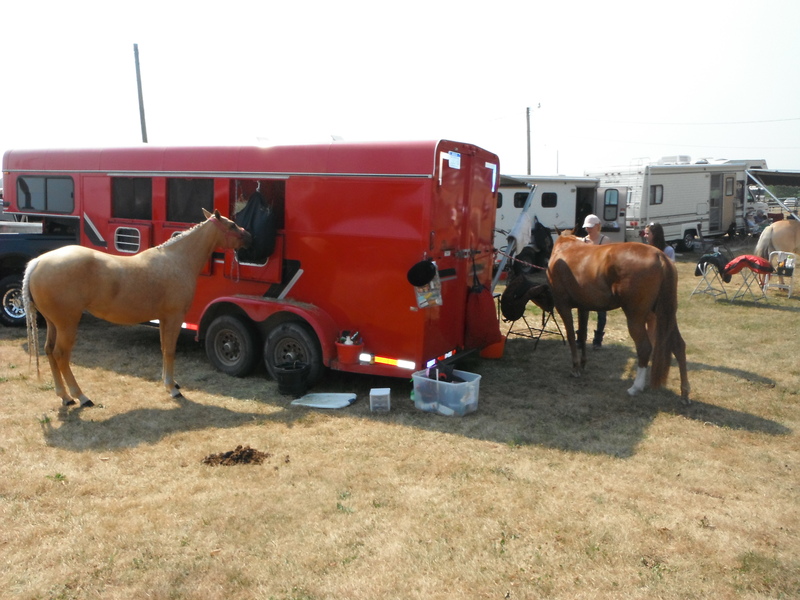 Horses available for each class are first-come, first served. 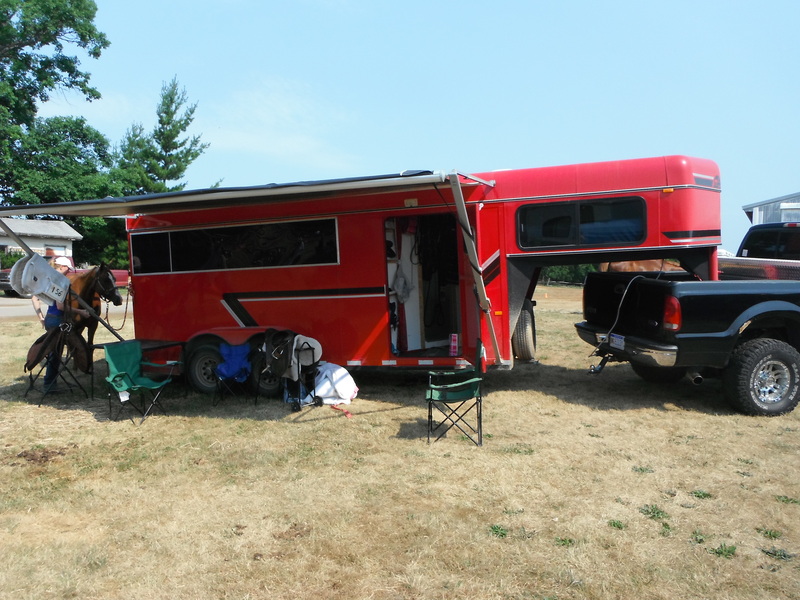 If there are more entries than horses available, the class will be split—i.e., another class will be formed from the “spillover” entries, and those in the secondary class will be awarded ribbons as if this were an entirely separate class. It’s entirely up to the entrants whether or not they will use show clothes. Show clothes are available from Sarah in all sizes from extremely tiny children up to adult. Show clothes cost $10 to rent from Sarah, and this, too, is first-come, first-served. 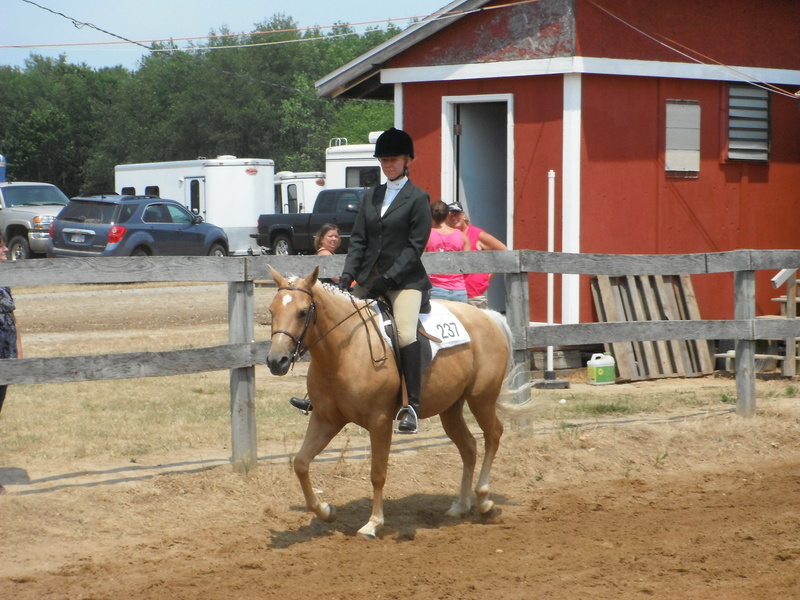 Show clothes are more about photographic potential than they are about placing in classes. 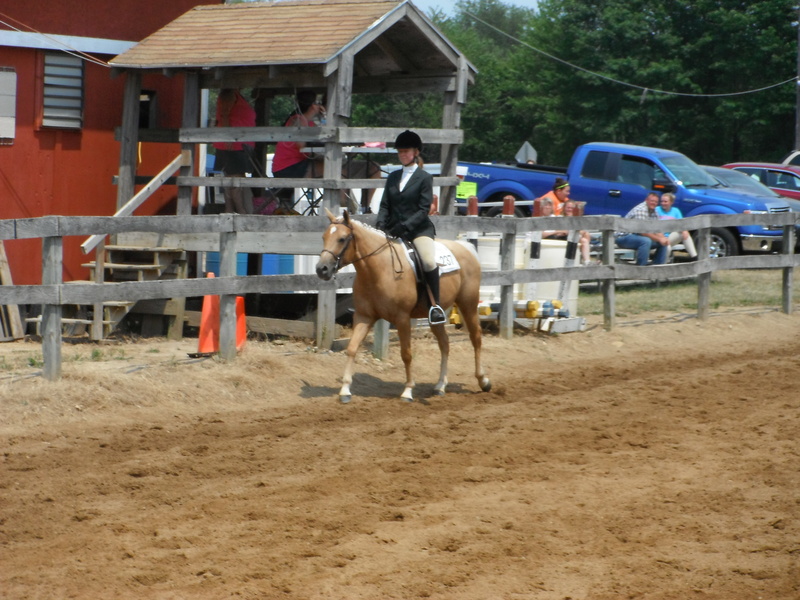 All entrants MUST wear helmets and are not allowed to carry whips or wear spurs. Judging is by Sarah, and ribbons are awarded for first through sixth place, with some honorable mentions. 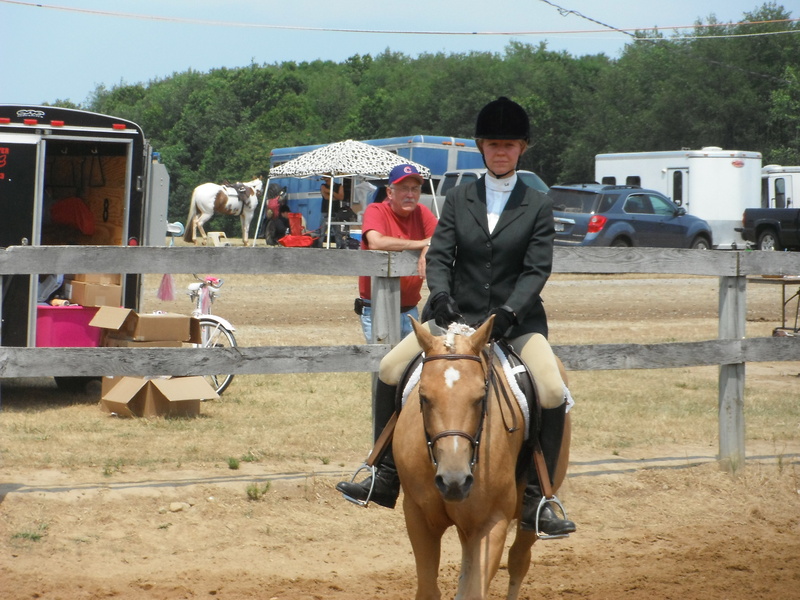 Questioning the judge’s decision is one of the most rude things you can do during a show. Don’t do it. AWARDS Rosettes with the Firefly logo and name will be awarded to the 1-6 place winners in each class. 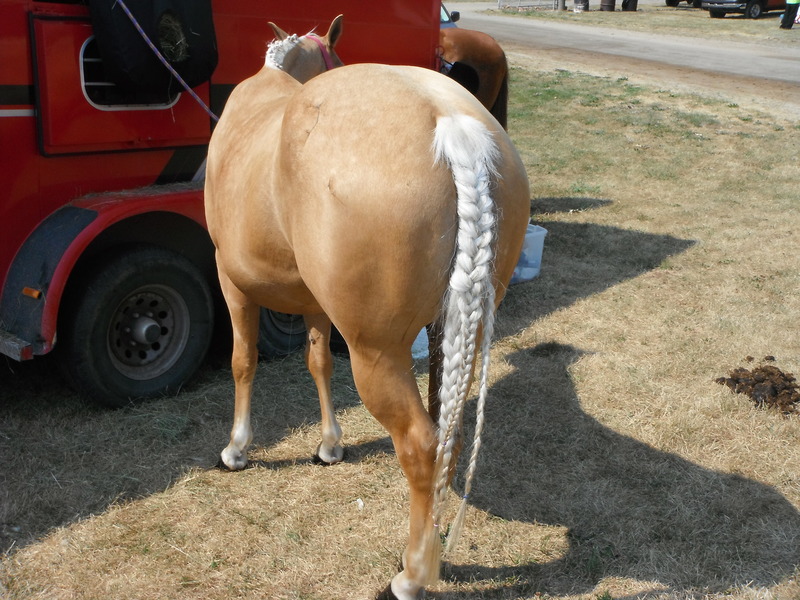 They’re available to view in the tack room. Please email or call Sarah. Only students who register and are current students are eligible to show. 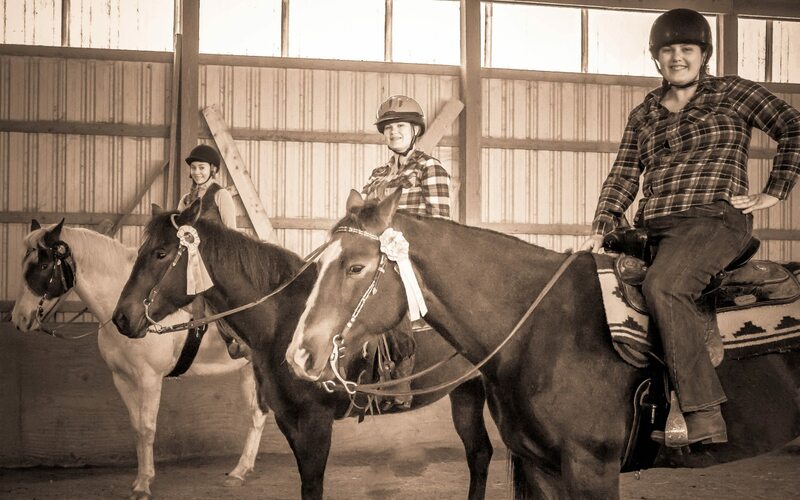 *This photo is of Isabella, Ashley, and Nicole from our Western show in April 2014. 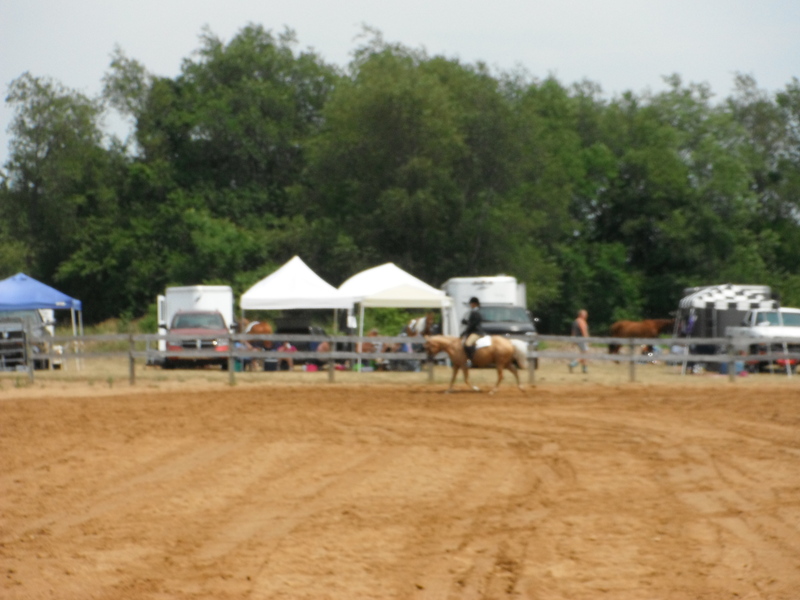 Today, I had the pleasure of attending an Open Horse Show in St. Johns. My friend and fellow barn manager, Sara, from Sandalwood Ranch, was kind enough to let me tag along. 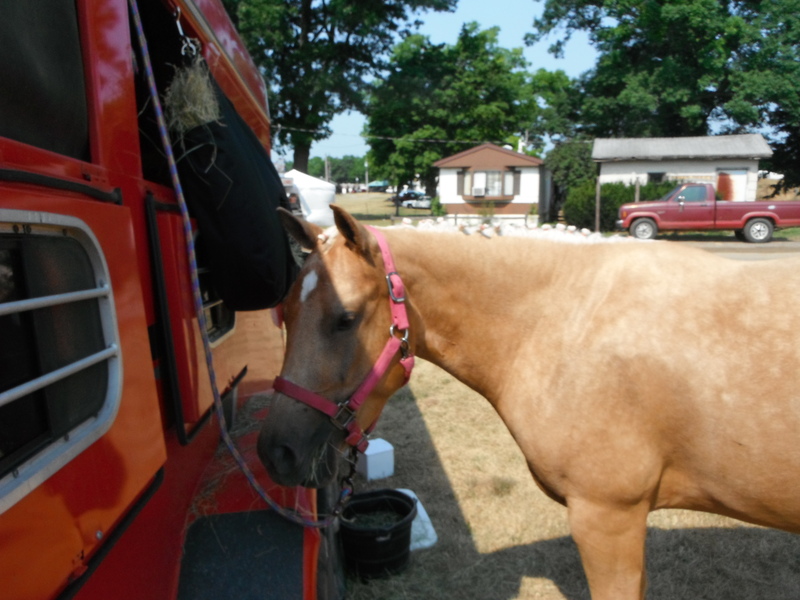 Sara’s shown horses all her life. I began showing as an adult. As I grew up, I rode, certainly, but always on a borrowed horse. 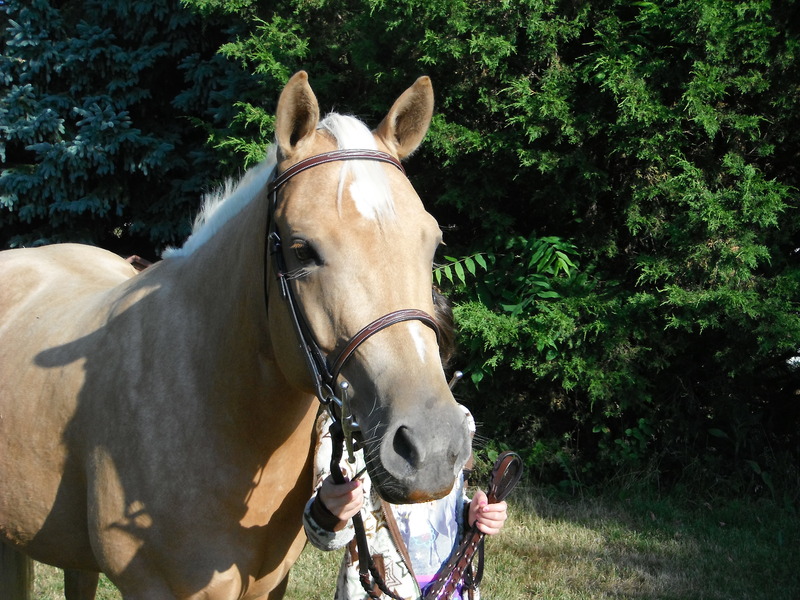 Once Melody came into my life, I trained her with the intention of showing her as my personal horse someday. Rain, heat, cold–none of these matter. 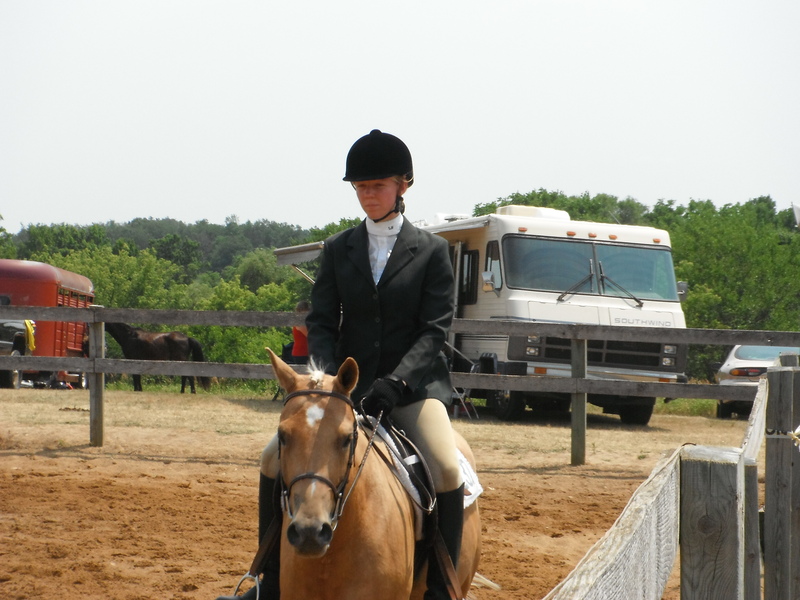 The desire to attend a horse show outweighs any temporary discomfort I might feel. I distinctly remember my horse-crazy childhood. 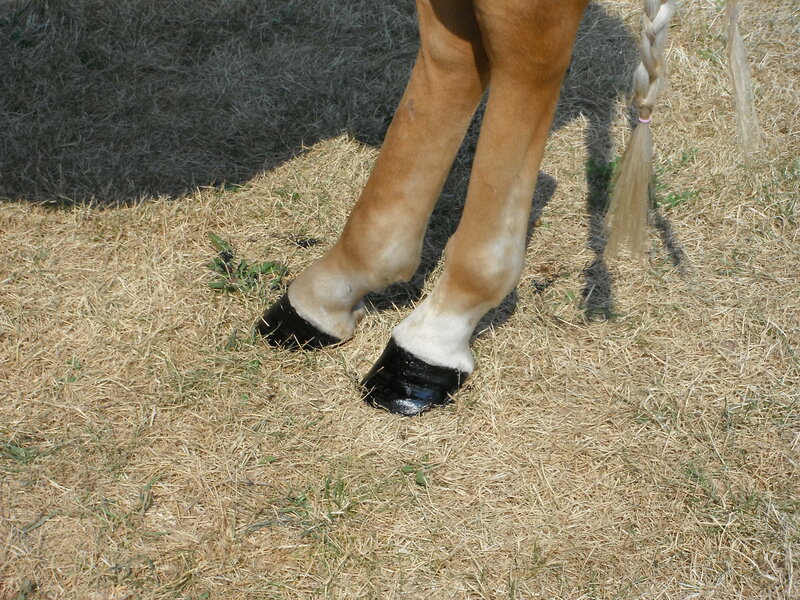 I used to beg someone, anyone, to let me ride their horse. To let me enter a class in a show. 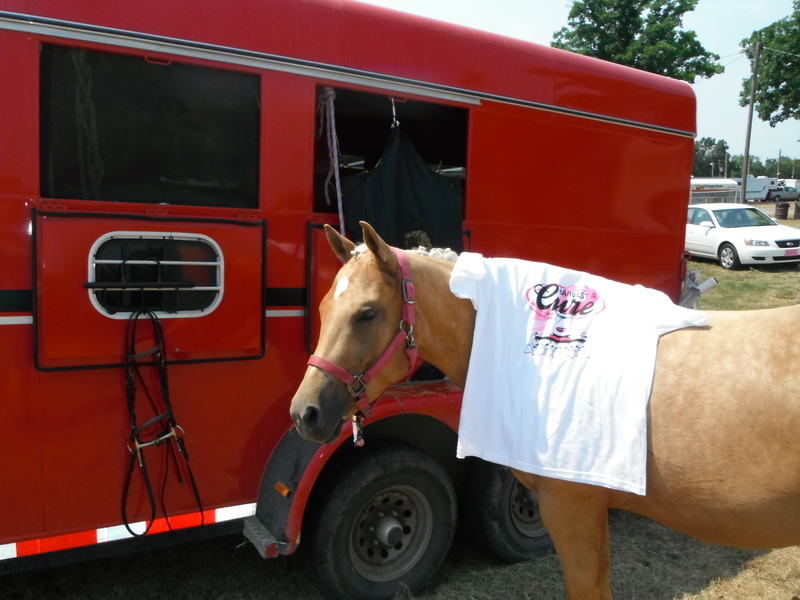 To have the chance to win an all-important ribbon–a talisman to show my love for horses. Deep down, I’m simply happy to be there. When things go wrong at a show, or life isn’t perfect, I laugh. Today I laughed a lot. 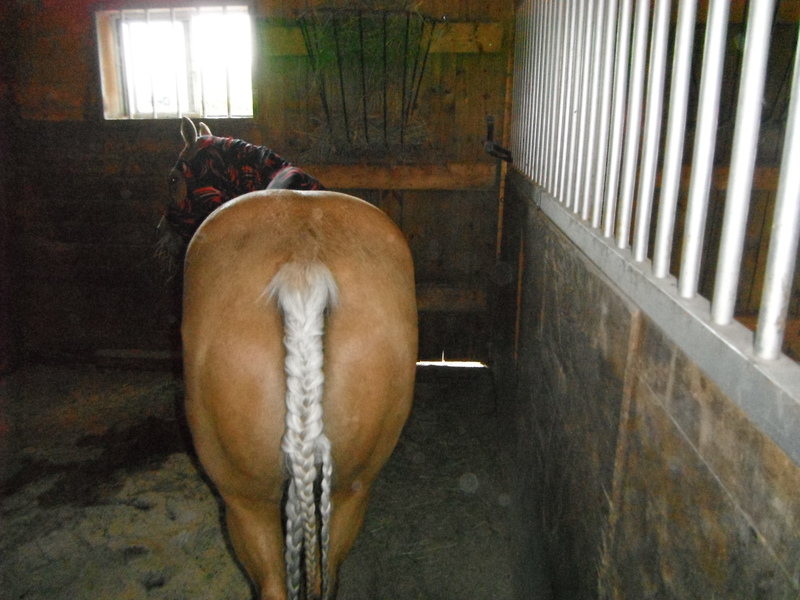 During the Showmanship class, the judge commented about Melody’s long tail. I turned around to look–and wouldn’t you know? The top of her tail wig broke and all 3/4 of a pound of hair was falling out. 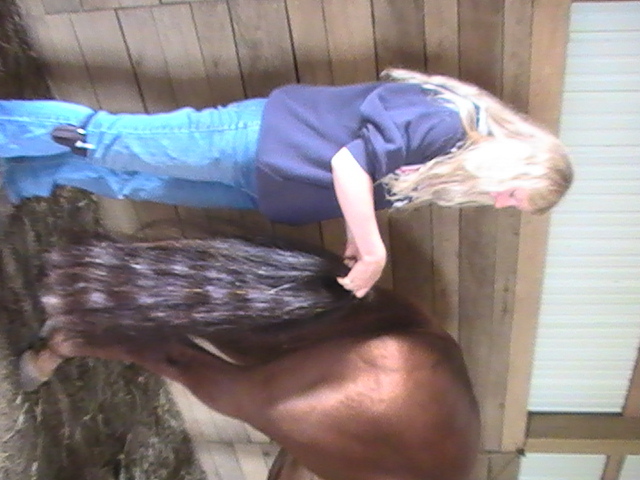 I untangled the mass of hair, but the judge and I had a chuckle. I was fortunate enough to win 6th place. 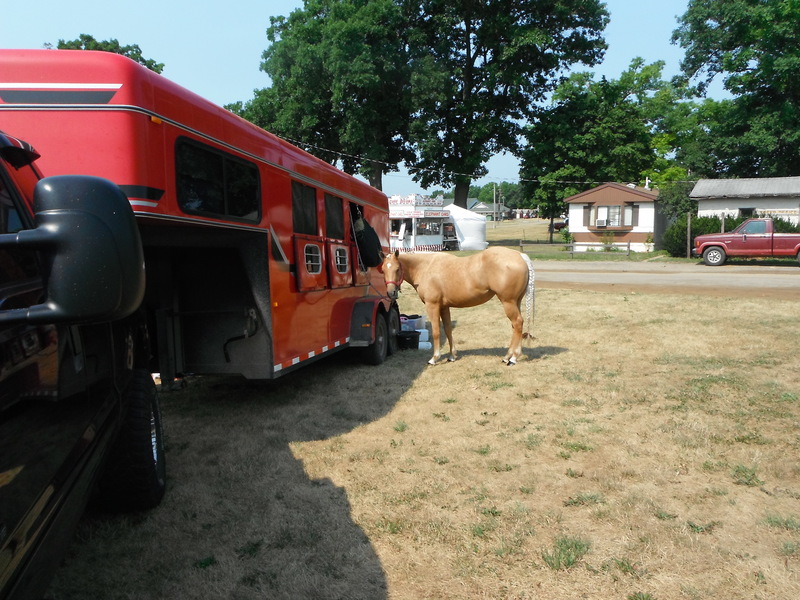 Fortunate, because there were only 6 horses in the class. 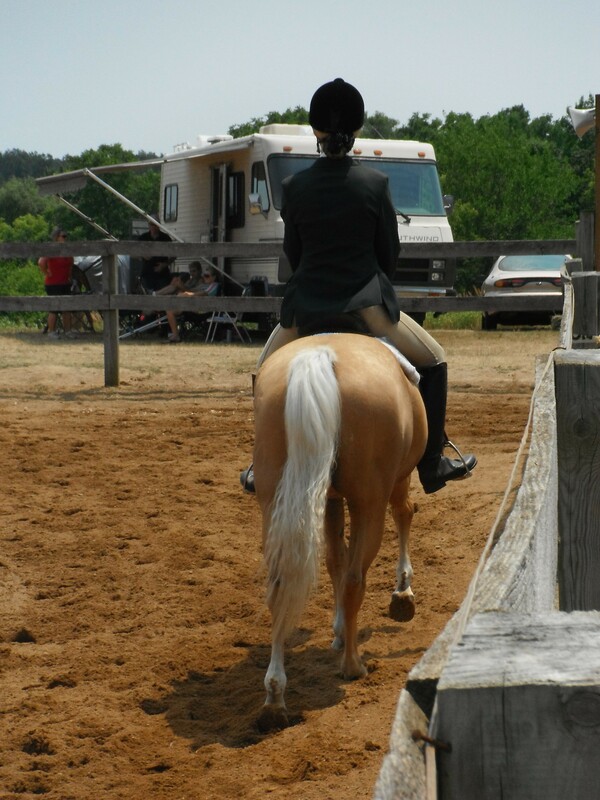 When we performed for the judge during the English Pleasure class, the judge walked over and mentioned that Melody was swishing her tail and opening and closing her mouth. I explained that with all the ultrasounds poor Melody has been enduring, her back hurts. I knew she’d been fussy, but I didn’t know it was so obvious. Once again, we won a ribbon–4th place. Although it sounds impressive to win 3rd, 4th, and 6th place, I won those ribbons in very small classes. Tiny classes, really. Melody was off all day. She fussed and fretted and wrung her tail. 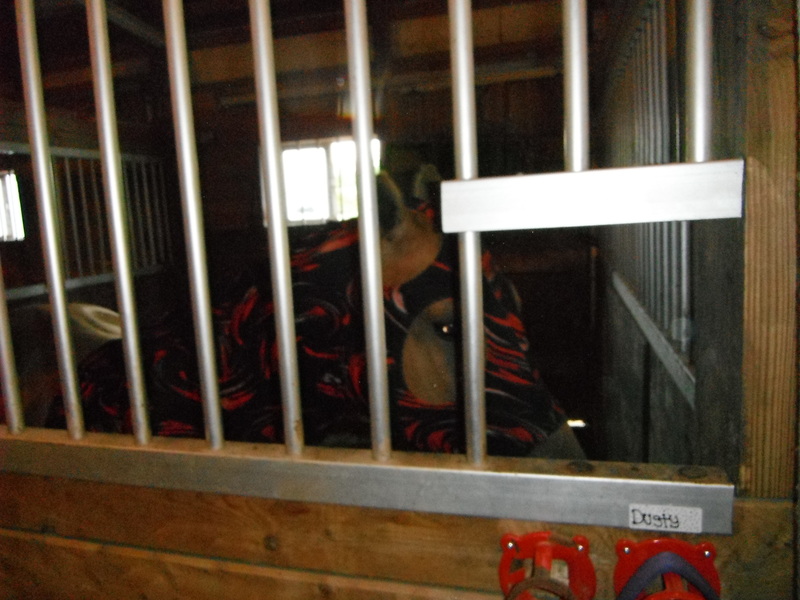 As Pat Parelli says, the judge has to give ribbons to the people who show up, and that can be the best of the worst. Poor Melody was at her worst today. She was achy and sore, and I didn’t have any way to alleviate her pain. Therefore, we elected to end our showing today after 3 classes. 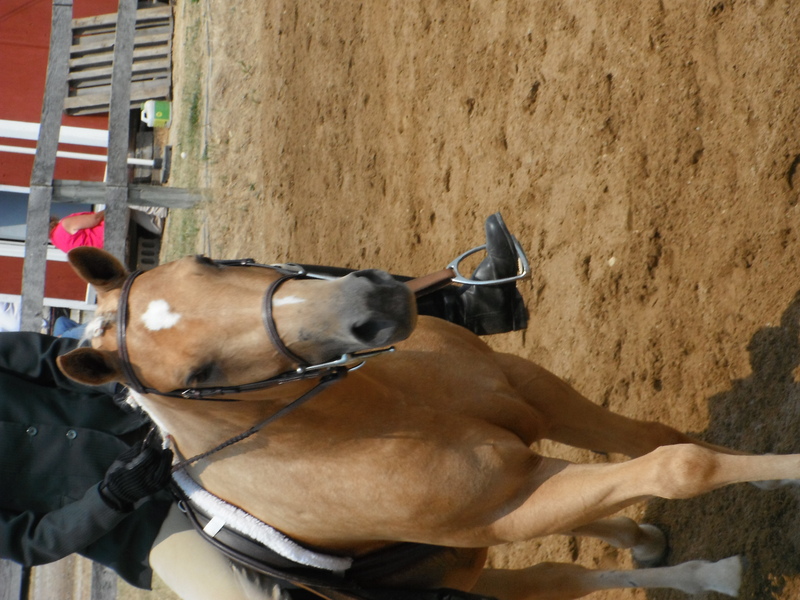 (It helped that the jumping classes were cancelled due to mud.) She seemed relieved, and I knew I’d made a good choice. One highlight of the show was seeing the sister of a Riverwalk Theatre actress. The former Riverwalk Theatre actress is currently on the road, singing and dancing with a company who will be traveling to Japan for 2 months and China for a month, performing and teaching kids. I’m so happy for her. It’s amazing to hear someone I know is also living her dream. I live my dream every day. 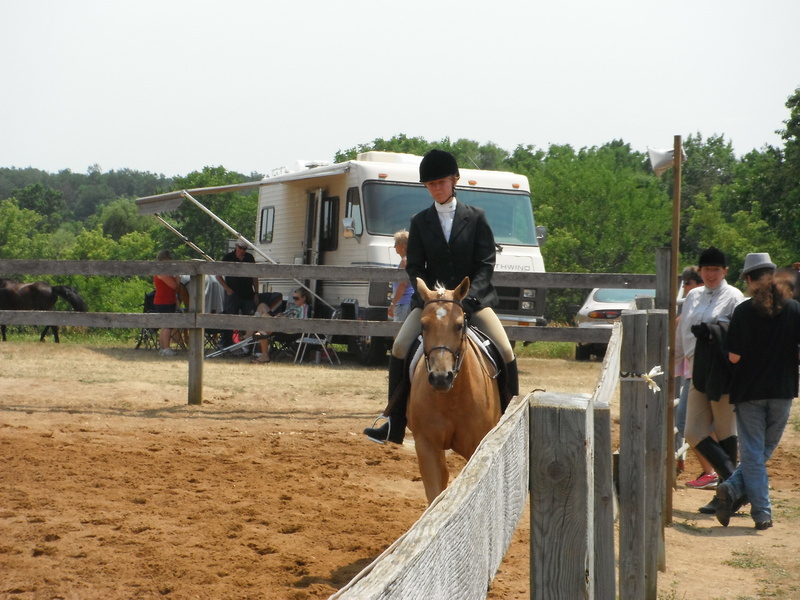 I can’t wait for the next horse show!